Do you have a plan in place to protect your loved ones’ financial futures in the case of an unforeseen incident? Who will pay off your family’s mortgage or your children’s college tuition when you are gone? As independent Life Insurance agents, Bruce and Joshua at Weinstein Wealth Insurance Solutions, LLC, have over 40 Insurance carriers to help find you easy and affordable options to protect your family’s needs and the peace of mind you deserve. Whether you’re looking for coverage that lasts for a specific period of time or lifelong protection, you can relax knowing that the futures of your loved ones are secure. Weinstein Wealth Insurance Solutions, LLC offers affordable coverage, multiple options to choose from, and a hassle-free process for you. Don’t wait until it’s too late – protect yourself and your family with coverage from Weinstein Wealth Insurance Solutions, LLC. As independent Life Insurance agents, Weinstein Wealth Insurance Solutions, LLC offers many different types of coverage, so you can choose the perfect policy for you and your family based on your needs and budget. Compare premiums and advantages of the various policies to determine which type of life insurance is right for you. It can be difficult to decide which life insurance coverage is best for your specific situation, which is why we are here with you every step of the way. Bruce and Joshua Weinstein use their industry experience and extensive knowledge to help you make an informed decision regarding the perfect protection for your family. Whole life insurance provides lifelong coverage and includes an investment component known as the policy’s cash value, which you can access through loans. It offers fixed premiums, a guaranteed death benefit, and an option to build cash value. A portion of your premium goes to your cash value, which is invested and can grow tax-deferred. With universal life insurance, you receive lifelong protection, cash value, and flexibility. If you’re seeking long-term protection with the option of flexibility, universal life insurance is a great option for you. The versatility offered by universal life insurance is the opportunity to adjust your level of coverage and your premium payments to fit your changing needs. Congratulations on obtaining “the American dream”, owning your own home! But do you own it or does your bank? What happens to you or your spouse/partner if there was a sudden illness or death? Would you be able to continue meeting those monthly payments or would you be forced to leave your home? How can you ensure that you will never be forced to leave your home? Congratulations! Parenthood, is there a more wonderful experience? Is there anything more stressful and concerning than being a parent? Sleepless nights, endless expenses, looming college costs. What keeps you up at night? We can help show you how to remove the financial risks we all face as parents. Congratulations! You are one of the few people still getting a pension at retirement. Most companies and jobs today do not offer Monthly Pensions. 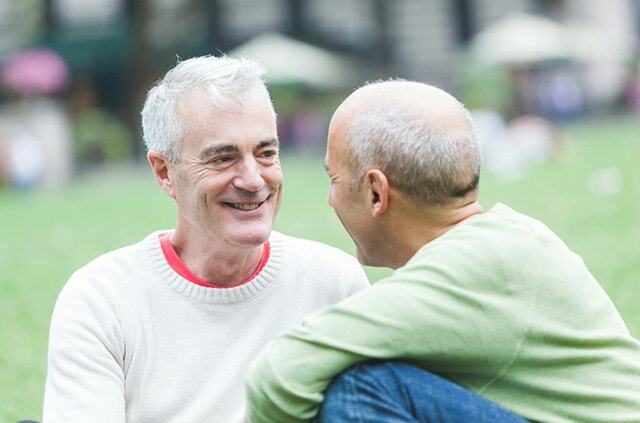 Before you make your final decision, we encourage you to speak to us about your options surrounding your pension and how you can MAXIMIZE its potential and MAINTAIN control of the money. Congratulations! Your discipline, hard work and drive have proven successful. But what’s next? 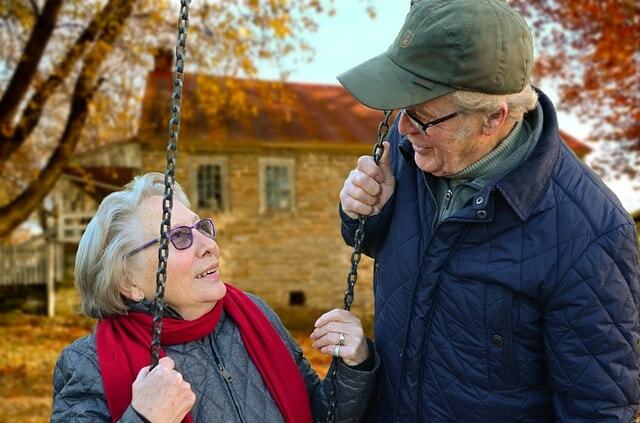 You are enjoying your ‘golden years’, but what about your kids’ futures? Will they enjoy the same successes and opportunities that you did? How can you secure their future with what you have built? What kind of legacy can you secure for yourself and your loved ones? Before you purchase a life insurance plan, it is important to speak to a professional to determine which type of life insurance is best for you and your family. Because there are many options to choose from and insurance can be tricky to understand, it is beneficial to speak with someone with industry experience. Weinstein Wealth Insurance Solutions, LLC is here to answer your questions and walk you through this critical decision. 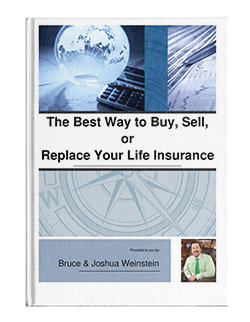 Bruce and Joshua Weinstein are dedicated to helping you make educated financial decisions and prepare for your future. To protect your family’s future and start enjoying a worry-free life, contact Weinstein Wealth Insurance Solutions, LLC today at 732-407-8063. Whether you’re working or recently retired, the best way to protect your family’s financial future is to stay informed on the best options to buy, sell, or replace your life insurance. Download a FREE brochure to learn more about your life insurance options. Fill out the form below to gain access to a FREE brochure that will help you find the best way to buy, sell, or replace your life insurance.